As my feet relish in the feel of the sidewalk beneath my feet once again, I turn my face to the sun and feel the warm breezes blowing my hair. The earth is reawakening. It has slumbered long enough over a long and bitter winter, and I am filled with gratitude. 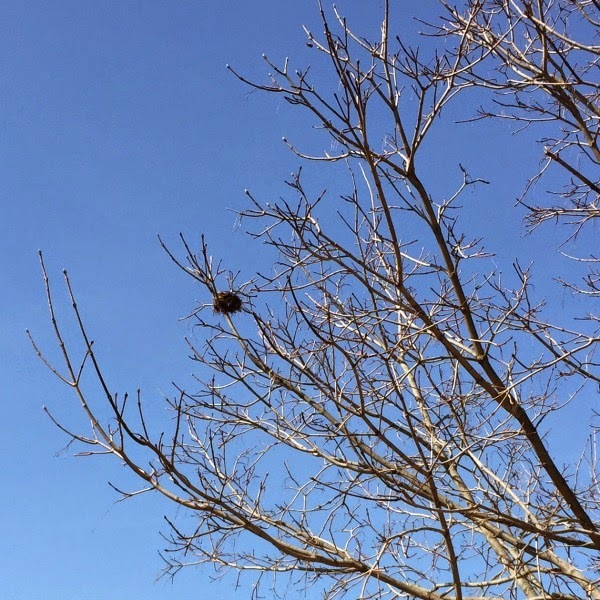 A lone bird nest clings high up in a naked winter tree, ready for a new family to make their home there. How did it endure the onslaught of sleet and snow? Why did it not just let go and crumble to the ground? 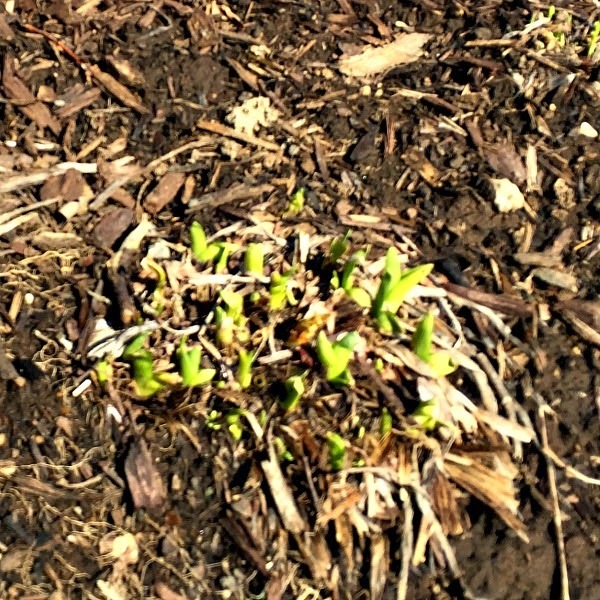 I see the small tips of green as the spring flowers valiantly push their way up through soil that was frozen solid just a few days ago. It amazes me that they have survived such harsh conditions. That they will once again fill the earth with their brilliant colors and their sweet scents. 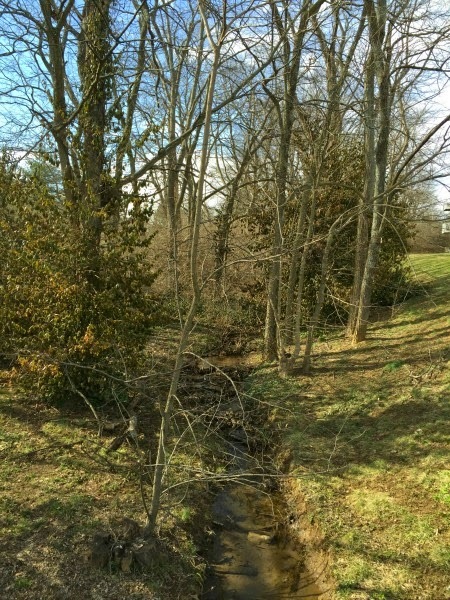 Our creek that was ice last week is hard at work, carrying the melted snow that will fill the local pond. A place where frogs and turtles will reappear as if by magic. As I walk and breathe in the fresh scents I realize that just like the flowers, the nests, and the inhabitants of the pond, we have weathered many storms and survived. All is reborn in us as in nature. How wonderful it feels when we come out on the other side. Laura, I love your new look and URL! Looking forward to reading the story behind it. Thank you for this refreshing preview of spring! Thank you, Jean. I am so happy that spring has arrived. It's amazing how when winter is here we think spring will never come, but it always does thank goodness. I love waking up and hearing the birds singing. Lots of rain here today, too. It is realy greening up the grass. A few things are starting to bloom here and it's so nice. Of course today got cold and rainy..ugh! Today, here, it feels like Winter. It has been raining, cold and windy. Not a pretty day. Your pictures are a beautiful sight! I can't wait for Spring. So wonderful when spring arrives...still waiting for spring here. I love that quote and the moment when everything goes green again. Laura what a beautiful turn around...I'd say I was jealous, but it's pretty much the same here...gorgeous and spring like...we still have a few errant patches of the white stuff...but you can't have everything. A lovely post! How nice to see that spring has finally arrived for you.